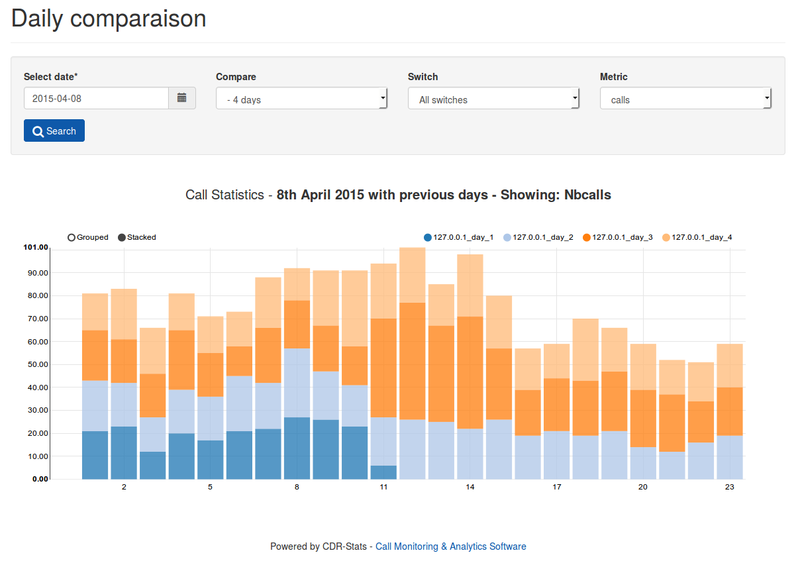 CDR-Stats is a web-based telecoms application for analysing, reporting and rating on CDR (Call Detail Records) for multiple tenants delivered from Asterisk, Freeswitch and other supported telecoms switches. CDR-Stats is built on Open Source Software where the core components are Django, PostgreSQL, Celery, Redis, Socket.IO, Bower and Bootstrap Framework. There are many more Python and Django dependencies needed but if you are not a developer, you might want to skip those details as CDR-Stats can simply be installed using a script which installs transparently and seamlessly, CDR-Stats and the stack for you. The requirements files provides a way to create an environment where all the dependencies needed for the CDR-Stats are installed. syncdb will create a database named test.db in database folder of the CDR-Stats directory. CDR-Stats is configured to do this, but can be changed by modifying settings.py where the DATABASES dictionary is constructed. there is more information about this in the Django documentation. collectstatic will fetch all necessary media files and put them into static folder defined in the settings module. migrate will applying database migration to update the database schemas of CDR-Stats to its latest version. createsuperuser will create a super user, to access to the admin section of CDR-Stats. runserver runs an embedded webserver to test the site. By default it will run on http://localhost:8000. This is configurable and more information about runserver is in Django documentation.